Next Can You Identify the Alternate Covers for These Well Known Books? Cliques aren’t solely for sorting the jocks from the goths from the preps from the skaters. Here are 10 literary cliques — united by location, identity or politics — that helped shape American writing in the 20th century. 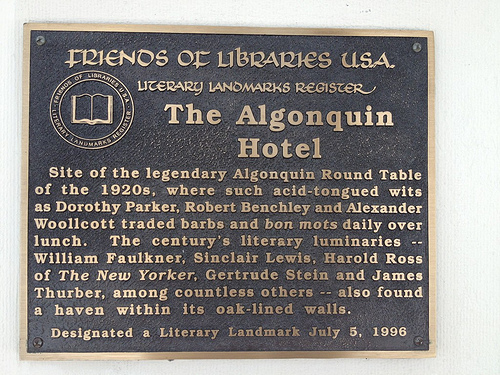 One of the best-known American literary cliques was the Algonquin Round Table. In 1919, a group of writers met in the Rose Room of the restaurant at the Algonquin Hotel to roast drama critic Alexander Woollcott, who had just returned to New York after serving in the American Expeditionary Forces during World War I. The lunch became a daily event for nearly 10 years. 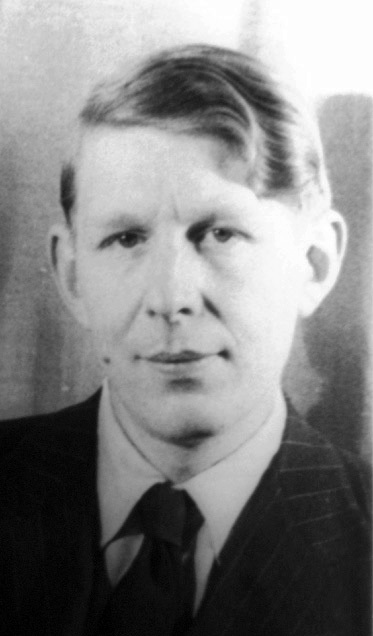 Their wit was legendary, earning the group the nickname the Vicious Circle and drawing celebrities like Groucho Marx and Tallulah Bankhead to join core members Dorothy Parker, Ruth Hale, Harold Ross (who would found The New Yorker while a member), Robert Benchley, Robert E. Sherwood and Jane Grant. This nightclub located in a back-alley barn in Chicago was founded in 1917 by a former Wobbly organizer, John “Jack” Jones, after he needed to find a larger venue for his popular radical discussion group. 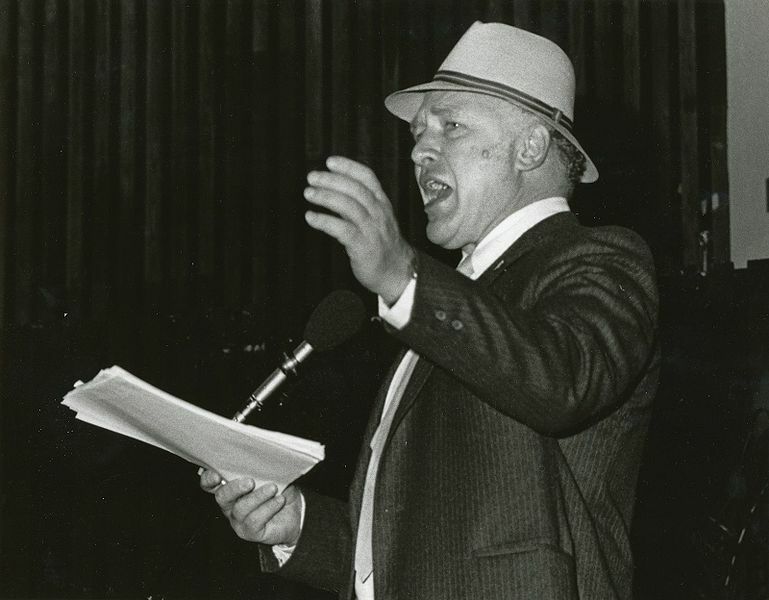 Besides providing booze and a forum for political debate, the Dill Pickle Club also encouraged the sharing of ideas by hosting plays, readings and dances. Patrons included Emma Goldman, Carl Sandburg, Upton Sinclair, Ben Hecht, Kenneth Rexroth and Sherwood Anderson. The club closed in 1934. Like the Harlem Renaissance, Chicago’s Black Renaissance was the cultural boom that followed the Great Migration of African Americans from the South to the North and Midwest. During this time, a group of writers began meeting at the Abraham Lincoln Centre in the Bronzeville neighborhood of the city's South Side. Founded by Richard Wright and Frank Marshall Davis in 1936, and known as the South Side Writers' Group, members included Gwendolyn Brooks, Margaret Walker and Langston Hughes. Arna Bontemps, a poet of the Harlem Renaissance and employed by the W.P.A.’s Illinois Writers’ Project, was also a member. George Davis was working as the fiction editor for Harper's Bazaar when, in a dream, the idea came to him to purchase the house at 7 Middagh Street in Brooklyn Heights and turn it into an artists’ commune. In 1940, he moved into the building (later nicknamed February House by Anaïs Nin), along with W. H. Auden, Carson McCullers and, later, Gypsy Rose Lee. The commune gained notoriety as a revolving carousel of talented guests circled in and out, until five years later when it was torn down to make way for the Brooklyn-Queens Expressway. The Beatniks have come to be symbolic New York City's downtown poetry scene in the 1950s and ‘60s, but they weren’t the only ones giving readings at cafes and bars. Influenced by LeRoi Jones (later Amiri Baraka) and his Black Arts movement, the Umbra poets like Tom Dent, David Henderson, Ishmael Reed, Calvin Hernton and Lorenzo Thomas were agitating the scene with their work arising from a series of Friday night workshops. "Umbra poets consciously adapted the highly visible and orally centered poetry scene of the Lower East Side to their own ideas about poetic form and race consciousness, particularly those ideas that led black poets to associate contemporary poetry readings with African oral traditions. Umbra poets pointed postmodern poetics back to their own experience," wrote Daniel Kane in his book on the 1960s Lower East Side poetry scene. This small neighborhood in Menlo Park was home to writers like Gwen Davis and Gene Farmer, but the rest of America learned of the bohemian enclave with the publication of Tom Wolfe’s The Electric Kool-Aid Acid Test as Ken Kesey and his Merry Pranksters were living there while Kesey studied at Stanford and participated in the C.I.A.-funded studies on psychoactive drugs at the nearby veterans hospital. The street also has a cameo appearance in Larry McMurtry’s All My Friends are Going to be Strangers when protagonist Danny Deck stops by to eat mushroom shortcake and play Monopoly with a group of Kesey-esque characters on his way back to Texas. A talented writer in his own right, it’s Gordon Lish’s work as the fiction editor of Esquire and as an editor at Knopf that made the biggest mark by honing the talents of writers like Don DeLillo, Ann Beattie, Raymond Carver, Richard Ford and Amy Hempel. His aggressive editing helped shape the Minimalist style of the ‘70s and ‘80s that became the trademark of Beattie, Carver, Ford and Hempel. When their critical and commercial successes coincided in the mid '80s, the press labeled wunderkinds Bret Easton Ellis, Jay McInerney, David Leavitt, Mark Lindquist and Tama Janowitz the Literary Brat Pack. They’re writing styles differed, but like their Hollywood counterparts, they were all young and hip and in the media spotlight. Lauded as spokespeople for the "MTV generation," they were known for their late nights at the famed club Nell’s and offered prime magazine assignments, lucrative film options and talk show appearances.